We all know that it would be best to wake up at 5am to get our Bible Study done before everyone in the house wakes up, but let’s admit it, this is just not always possible in certain stages of motherhood. Try having a meaningful Bible Study when you are prying your eyes apart because you were up with the baby all night. Theology before 3 cups of coffee? I don’t think so. I have found a few creative things, that help me to make sure that Bible Study is a top priority that makes the schedule each and every day. 1.) Break your Bible Study up during the day. Try breaking your Bible Study up during the day into what fits best for your personal schedule. Do you fall asleep when you pray? Maybe Bible reading in the morning, prayer during the kids’ nap time, and journaling at night before bed would work for you. Download and of our FREE Prayer Guides to help you stay on track! 2.) Post your memory verses around the home. This does not have to be anything fancy. Use post it notes or index cards. Write your memory verse for that week and add it to different spots in the house where you happen to sit or stand often. This would be in front of the kitchen sink, above the stove, on the washing machine, at the computer, on the bathroom mirror, etc. … Check out our Joy Scripture Pack to get you started! 3.) Listen to sermon podcasts or stream a sermon online during daily activities. I LOVE listening to sermons online! This is one of my favorite things to have streaming in the background when I sit and fold laundry. Try streaming it through your smart phone or iPod and listen to it with headphones to drown out the kids playing in the background. Who are some of our favorite pastors to listen to online? Click below to be taken to find them on iTunes. 4.) Do your daily devotions with your children. Who said that your daily Bible study always has to be done alone and in complete silence? I don’t know about you but complete silence and even alone time are pretty difficult to come by in a small house with a large family. Moms often don’t even get to go to the bathroom alone! Where I do think it is good to try to find alone time for prayer and meditation, I also do not think it is an excuse to skip your daily Bible Study time when alone time is no where in sight. I think that doing your daily devotion with your children is a great way to train a young child to practice sitting still for church and will be a lasting example to your children for their need to spend time with the Lord each day. Use this time to talk about Biblical things with your children. It is an open door to share the Gospel with them. 5.) Create quiet times during the day for your children, so that you can pray and study. Sometimes we just need to carve out a portion of our day to do these things. There is nothing wrong with throwing on a movie for the kids to watch so that you can steal away for a few minutes to complete your Bible Study for the day. 6.) Set an alarm to remind you to complete your Bible Study. It is so important that we meet with the Lord each and every day, Ladies! I know that I get so wrapped up in the day and I just forget sometimes, or other things seem more pressing. There is nothing more pressing than your spiritual food. So set an alarm to help remind you for those days when there is more to do than time to do it in. An accountability partner in this area would not hurt either. What are some Creative Ways you have found to help fit your Bible Study into your day? Let us know in the comments below! 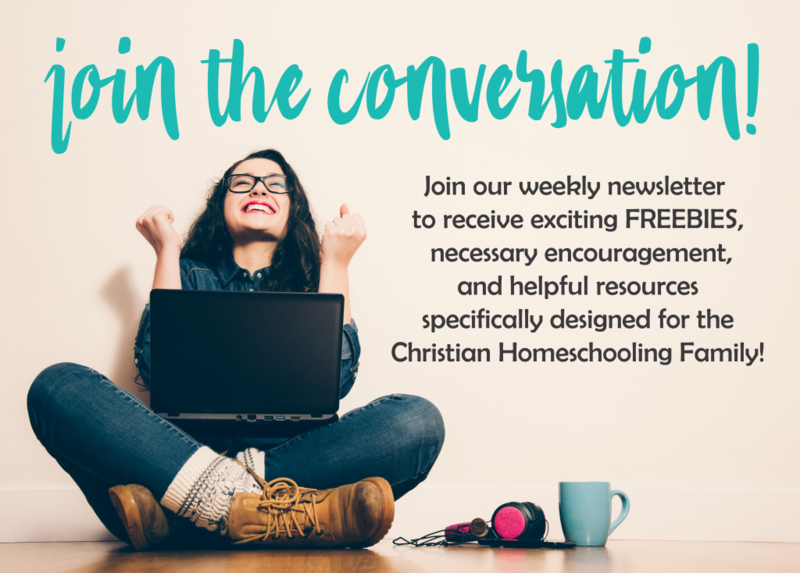 Don’t forget to check out the Christian Living and Hospitality Pack that is part of the larger Homemaker’s Companion series. This single pack includes Bible study and prayer journal pages, sermon notes, scripture memory log, and hospitality menu planning guides. Download it for just $1.99 HERE.